Dirak India is one of the most reputed and reliable Metal Hinges manufacturers and dealers companies in India. The product is delivered as and is available with a Metal Hinges to enhance compression characteristics and increase the deflection range. We use premium quality raw material for the Metal Hinges. There are specific applications for a metal hinge in an exceeding style of industries. Dirak India provides the best Metal Hinges manufacturers and dealers companies in India used for flaming doors, cabinets, interior or many more applications in India. 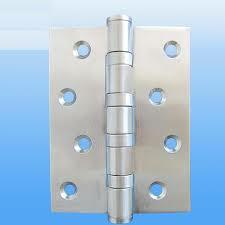 We manufacture and supply various kinds of metal hinges all over in India. Several area units created from stainless-steel materials to be ready to face up to many varieties of harsh environmental conditions. Metal Hinges will be viewed in several applications as well as flaming doors, box lids, cabinets, interior & exterior doors, etc. Dirak is best Door Hinges manufacturers and dealers in Bangalore. We are building something different in the category of Metal Hinges for people who want more. we are manufactured in an exceeding style of finishes and materials as well as metal, galvanized steel, galvanized, hot and cold steel, and stainless-steel.